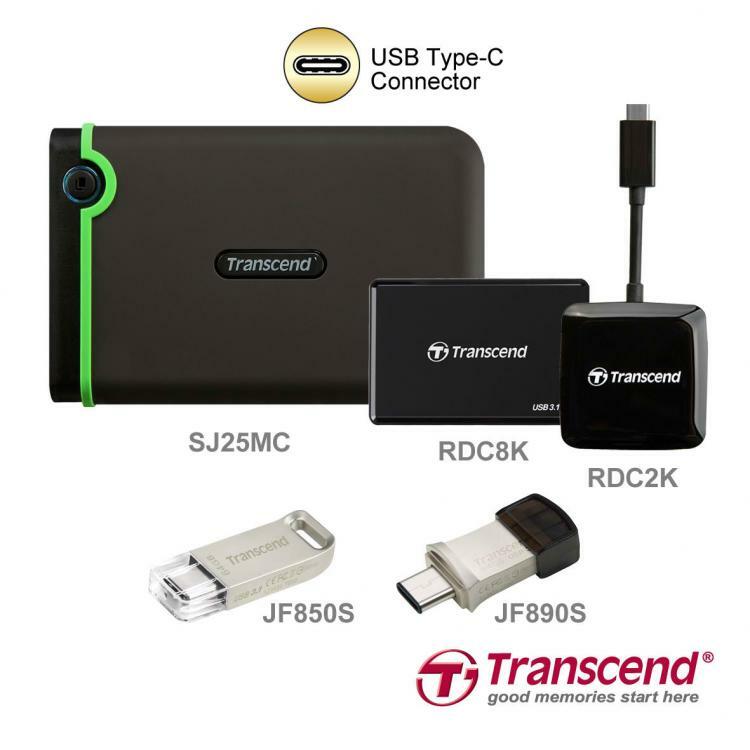 Transcend Information, Inc. introduces its USB Type-C product line up includes USB flash drives, card readers and external hard drives to address the growing adoption of the USB Type-C by new and upcoming devices and platforms. See the new products below. The StoreJet 25MC External Hard Drive features the same Military-Grade Shock Resistance along with the reversible USB Type-C connection. The StoreJet 25MC promises ultra-fast transfer speeds thanks for the SuperSpeed USB 3.1 Gen interface it utilizes. The JetFlast 850S and 890S features a lightweight design, superspeed and dual connector model. The new flash drives uses the latest USB 3.1 Type-C connector with On-The-Go technology with up to 130MB/s transfer speeds for the JetFlash 850S. The new Transcend card readers uses a USB 3.1 Gen 1 interface. The RDC8K is a 4-slot multifunctional card reader that supports micro SDs, SDs, Compact Flast cards, and Memory Stick cards. The RDC2K is a smart reader with On-The-Go capabilities designed as a card reader for Android smartphones and tablets with USB Type-C ports.